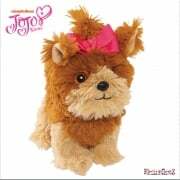 It's JoJo Siwa's adorable puppy, Bow Bow! 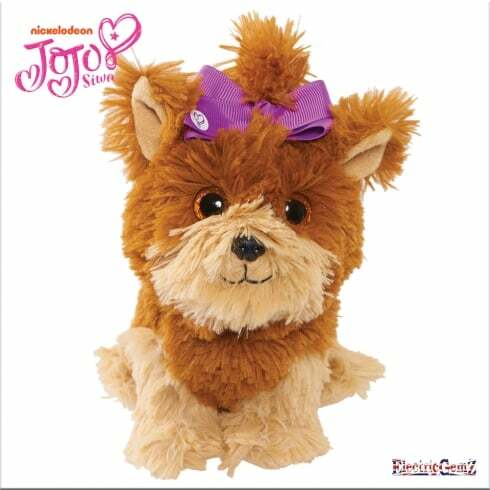 This cuddly Bow Bow plush puppy is the perfect gift for every JoJo Siwa fan. 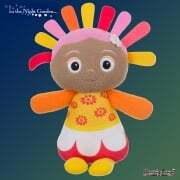 Suitable for ages 3+, with her super soft fur and cute collectible size, the fun never ends. Snuggle up to Bow Bow and take her with you wherever you go. There are three to collect, all sold separately with pink, blue and purple bows. Which one is your favourite?